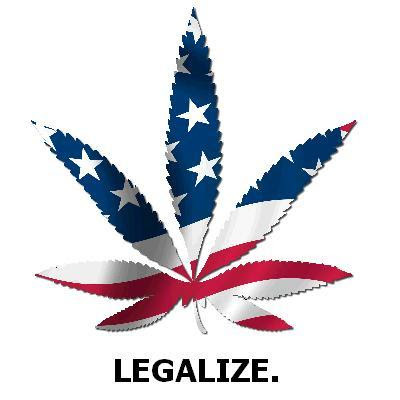 Marijuana campaign image from Photo Bucket. The man in the dark slacks and the blue jacket counted out 100 $100 bills and handed them to the woman in jeans and a faded T shirt that said “Eat the Rich.” She handed the bills to another woman with dark glasses and turquoise rings on her fingers, and she sat down and counted them. They added up. There was $10,000 on the table. The man in the slacks and jacket walked out of the hotel room with two-and-a-half pounds of organic California-grown marijuana. He was a happy man; he had customers from Pacific Palisades to Pasadena in Los Angeles who were eagerly awaiting their ounces, half ounces, pounds, and even grams. He had a price and a product for everyone no matter what their budget. Call them potheads. Call them stoners. Call them what you will. They smoke marijuana daily and they go to work. They pay taxes, and on election day this coming November they will go to the polls to vote up or down on a state-wide measure that would allow dealers to sell ounces legally, an ounce at a time. All the big-time politicians are against the measure. Jerry Brown, the State Attorney General, and the former Governor, known popularly in the 1970s as “Governor Moon Beam” is against it. So is the former eBay chief executive Meg Whitman, a rabid conservative, who is the leading Republican candidate. But the growers are in a minority. So are the dealers. The overwhelming majority of people in the pot equation are the pot smokers. There are millions of them in California (and elsewhere of course) and by and large they are sick and tired of being made to feel like criminals. They want pot to be legalized. They want to be able to purchase marijuana in the same way they purchase shoes, hats, tomatoes, and olive oil. They’re perfectly willing for it to be taxed. Many of them are “true believers.” They feel that pot is practically a sacrament. They insist that it is good for them -- good for their hearts, their eyesight, their digestion, and, if they are cancer patients, a remedy for loss of appetite and nausea. The medical evidence increasing shows that they are right. In the state of California, a place in which there are very few “true believers,” the true believers in the goodness of marijuana will play a decisive role in whether or not the measure to legalize the drug will pass or fail. Every day, in almost everything they do and everything they say, they campaign for marijuana. When they smoke it they share it; when they cook with it they hand out brownies to friends and family members. They push pot constantly, and promote it endlessly. Ever since 1996 when medical marijuana became legal in California, they have been smoking in public -- in pot dispensaries, bars, and on the streets. After 14 years, it is out of control -- at least by law enforcement standards; it is not possible to take pot out of the culture and the business of California without also imposing martial law. And even that will not stop it. Thousands of Californians -- and thousands of Americans -- have been arrested for possession of marijuana in the last decade. And still the numbers of marijuana smokers have grown. Arrests have inflicted hardship and pain on California citizens from the Oregon border to Mexico. At a time when the California budget is in deep financial trouble, the promise of tax dollars from the sale of marijuana will be hard to resist. And the call of marijuana as medicine will be hard to resist too. In the next eight months, marijuana will be in the news in California every week, if not every day. The opponents of legalization will bring out the same old arguments. They will talk once again about that old bugaboo “reefer madness.” And in a way they are right. Indeed, the pro-marijuana forces are mad. They are mad about the persecution they have suffered. They are mad about the lies and the distortions. They are so mad they are willing to fight in the open, to take their cause everywhere in the State of California. The gap that exists between the citizens of the Golden State and their elected officials will become clearer and clearer. Marijuana will be a wedge that will drive them apart -- except that some politicians like State Assemblyman Tom Ammiano from San Francisco, want legalization too. Ammiano is a true believer. To some he is a saint, to others a devil. The growing storm will focus in part around him and in Sacramento, the state capitol. But no part of California can or will escape the issue of the legalization of marijuana. And the eyes of the nation will be on California.